Your Name in Lights – in Times Square? Yes, We Can Do That! | ASTRALCOM - Content Strategy, Conversion Marketing and Customer Acquisition. 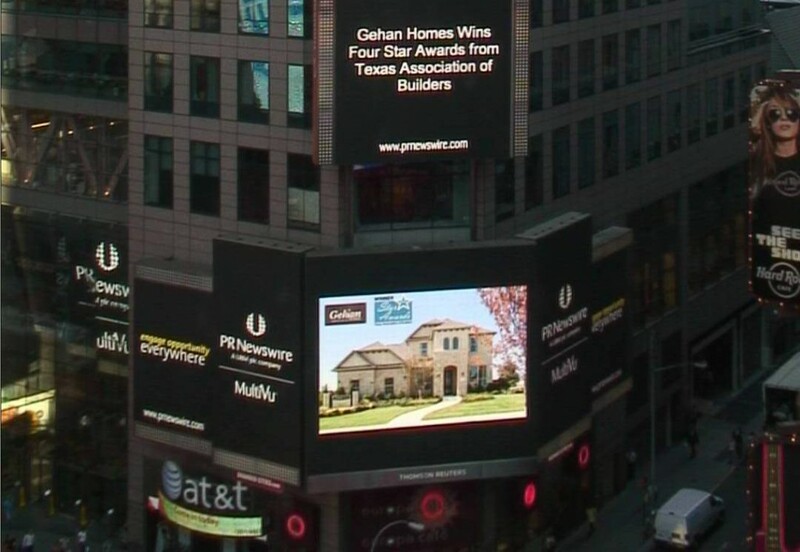 “I love it,” exclaimed the VP of Marketing at Gehan Homes. And he should be excited. Their headline, company name and logo and one of their premiere new homes was displayed on a marquee located at 43rd Street and 7th Avenue, in Times Square. That reaches over 300,000 people alone; not to mention the numerous other national, regional and local pick-up’s and SEO link-backs we helped them get from this effort. It’s because we use PressGrabber, that we get results like this for our clients and it’d work just as great for you. From local to national coverage, we’ll create, optimize and distribute your news announcement or press release. How much media attention do you want for your business?